McLuhan on Maui 2011 MoMday night Seminar 25. Sept 26, 2011. Available for FREE download here. MoM NOW: @buzzcoastin and his role. MoM NOW: KROKER dancing on the toes of the PoMos (based on having done his 20yrs of homework). All poets must labor! MoM NOW: The last page of War and Peace...(as far as MM went? ), as intro to KROKER (also see MM's From Cliché to Archetype). @chipbody AK : In a fully tragic sense, McLuhan's final legacy was this: he was the playful perpetrator, and then victim, of a sign-crime. MoM NOW: Mise en abyme and anamorphosis cf metaphors after the fractal. MoM NOW: Today, analog media adopt the same/similar postures that "humans" did in the 60s & 70s. 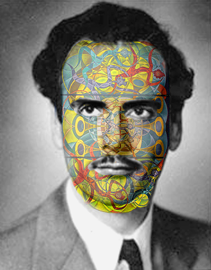 mbytz RT @marsHAL9000 @chipbody AK : "McLuhan was then, in the end, trapped in the "figure" of his own making." MoM NOW: McLuhan on the databanks (in 1970s)...so people would adopt amnesia as a counter-strategy/rebellion. MoM NOW: KROKER is the poet of the @chipbody. New theme...cell phones and its effects on the Hollywood scene cf Kroker. MoM NOW: KROKER as bi-modern vs paramodern. MoM NOW: Mondo 2000 Vs WIRED, R. U. Sirius and C-Theory...figures swept up by the utopian 90s. MoM NOW: Mumble Core (film), un-conscious knee jerk reactions to being documented from birth. Remixing and resampling new identities. MoM NOW: THE camCorder kids, Kroker suggests, will go vague (in 90s). NOW these kids are in college. Denial of chemical body precision. MoM NOW: cam corders role in the extermination of memory [erasure]...and what is the future for these cam corder kids? MoM NOW: The blatant transformation of the web...anyone could notice it. Watershed shift. Current theme... labor under digital conditions. MoM NOW: @PaulLev should be at MoM25. : ) Good conversation on post-McLuhan criticism. MoM NOW: Kroker (post-McLuhan) on intellectual violence! MoM NOW: Communication AS TRANSFORMATION. [sound intrusion...the mis-educated imagination of Marshall #McLuhan. MoM NOW: #McLuhan in 1970s..."the goal is not to communicate" (just when everyone was propping up communication as solution). MoM NOW: p. 154 Kroker running through the phases..bring us to post-Baudrillard. The politics of post-sacrificial violence. MoM NOW: A culture of quantum fluxuation ... where we are at now. EVERYTHING has disappeared. This is KROKERS starting point. MoM NOW: Trying to preserve the order of the real? Kroker says we are beyond alienation and reification (cf Lucaks sp? & ruling concepts). MoM NOW: phase (1) beyond simulation, the society of the wave-form. Genes (leaving"*us*) merging with data. 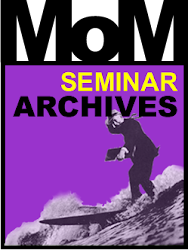 MoM NOW: [@youngblood bings in] Kroker's relationship to Baudrillard and criticism of. "We are beyond simulation..."
MoM NOW: The ground is a technical environment that has come alive. NOW the stages that Kroker lays out. P. 53 of Spasm. ime TWEETS from MoMday 25. Current theme is post-#McLuhan and Arthur Kroker.